How Oregon towns are preparing for the eclipse. Small towns have spent months figuring out how to handle a million extra people—and procure enough toilets. A million extra people demand a lot of extra bathrooms. If you’re driving to John Day, Oregon, from any direction, be warned. For the last 90 miles of your journey, you won’t find a single gas station. No fast food. No cell service. Just sunset-colored canyons and fossil beds. And on Monday, when a total solar eclipse creates moments of midmorning darkness, you won’t even see the canyons. Eastern Oregon can handle a couple of campers—but what about 1 million tourists? That’s how many people the state is expecting will travel to view this summer’s transnational, total solar eclipse. The eclipse’s path of totality crosses the Pacific coast and then stretches south. It actually misses Portland, which means small towns like Dallas, Prairie City, Fossil, and Sweet Home will become unwitting temporary urban centers. The city of John Day has particularly good viewing; the path of totality stretches 35 miles to its north and south. “If we see the numbers we’re expecting, we’ll have more than 10,000 people in John Day,” says City Manager Nicholas Green. “That’s more people than have ever been in John Day in the history of Earth.” He qualifies: There may have been 10,000 eager miners during the Gold Rush. But they were spread between John Day and neighboring Canyon City, two miles away. Where will the 10,000 get their gas? John Day, home to 1,700 residents, has only two stations. How will small-town restaurants and groceries feed 10,000 extra bellies? How will tourists navigate and communicate, given the notoriously bad cell service around John Day? For more than a year, 56 federal, state, local, and tribal agencies have been working to answer questions like these. It’s been difficult for planners to find an eclipse proxy, says Paula Negele of the Oregon Office of Emergency Management. The eclipse is an act of nature that, unlike floods, fires, and hurricanes, isn’t a disaster in and of itself—but could bring about disastrous consequences. To hear Negele talk, the agencies have thought of everything. The overall estimate of 1 million comes from hotel, campsite, and conference bookings. If the guess proves accurate, Oregon’s population will temporarily surge by 25 percent. That means congested highways. (Negele jokingly compares the prospective traffic jams to when Oregon State and Oregon have simultaneous football games.) The Oregon Office of Emergency Management is encouraging drivers to pack food, water, first-aid kits, and paper maps. To address issues like littering, trespassing, and road rage, eclipse planners appeal to Oregonian identity and encourage visitors to assume it too. “Act like an Oregonian,” says Travel Oregon’s Linea Gagliano. “Leave no trace, be kind. Pack your patience.” Be a green groupie, a granola muncher. Nature is part of Oregon’s brand, and that brand seems to be working: Tourism brought the state $11.3 billion last year. Portland International Airport will welcome chasers with free pairs of eclipse-viewing sunglasses. Yet massive ecotourism could increase the risk of environmental catastrophe, especially fire. August is one of Oregon’s rare dry and hot months. Right now, the Department of Forestry has posted ‘high” or “extreme” fire danger rankings for much of Oregon; active wildfires rage outside of Baker City and atop Mount Jefferson, the state’s second-highest point. Alongside obvious safety concerns, smoke impedes eclipse viewing. Negele warns of untended campfires and sparks from vehicle tailpipes catching on high grass. She lays out plans for evacuation and sheltering campers in place. Driving fire trucks on congested highways might be impossible. Still, rural Oregon communities believe the eclipse will be a net positive, at least economically. Gagliano says locals have become entrepreneurs in anticipation: Schools are hosting bake sales while farmers and ranchers are renting land to tenters. According to Prineville Planning Director Phil Stenbeck, Central Oregon alcohol sales have increased by 40 percent in the weeks leading up to the eclipse. 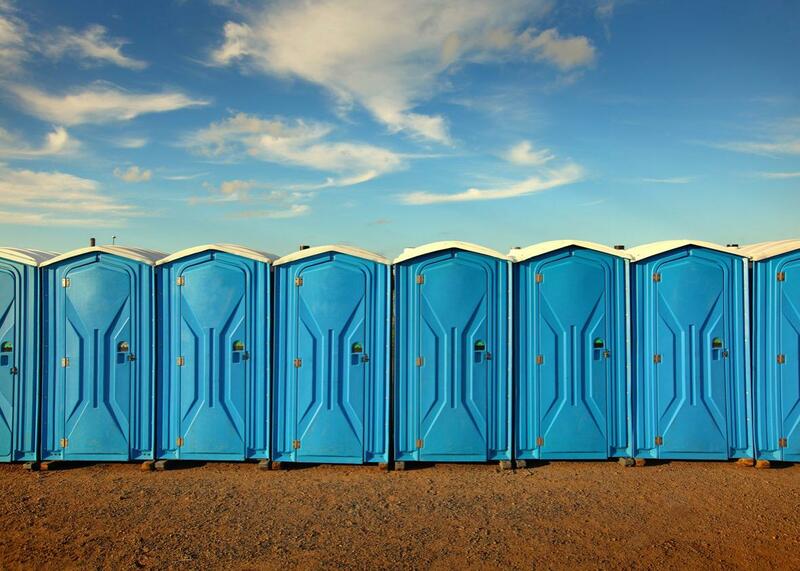 In John Day, one local man has invented a collapsible, stackable port-a-potty. The city itself has already made about $60,000 from RV and tent site sales (this in a community with an annual property tax revenue of only $250,000). City planners will use a portion of the revenue to build a trail system and playground along the John Day River, allowing its residents to better enjoy the outdoors.